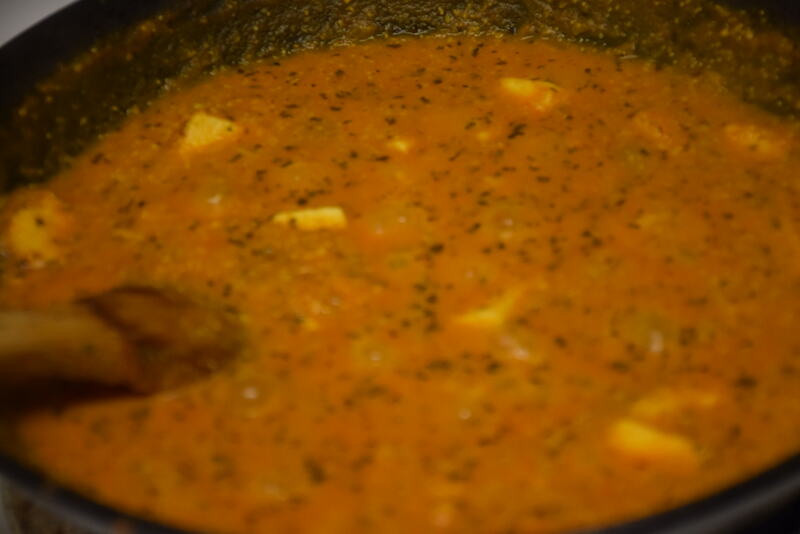 For years ,I have been wondering that what is the basic difference between shahi paneer and paneer makhani or paneer butter masala. Now I got the answer and so couldn’t resist myself from sharing this with you. Yes there’s a slight difference between the two, that is majorly in the way their curry is prepared. 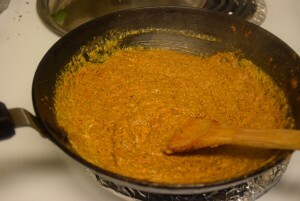 Although I have practised variety of ways for making gravy,but among them which brings the authentic taste,color and ease in preparation is the one I am going to share with you today. 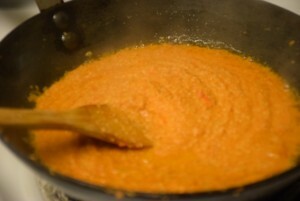 Among them I am going to tell you about the orange curry here, because I just love its color,taste and aroma. I will also .although tell you how to achieve other curries. For orange curry ,we need combination of red and yellow .So three ingredients that are must are red ripe tomatoes,kashmiri red chilli powder and turmeric.The rest like cashew paste, cream, onions are optional and depend on your taste and preference. Also the difference between the two paneer curries is because of kasoori methi(dried fenugreek leaves powder). For healthier replacement of cashews , you can use khus-khus(poppy seeds) to add that texture and thickness to the curry.The next ingredient essential in paneer makhani is butter, of course. This is a no fail and rich recipe which will always amuse your guests and taste buds. 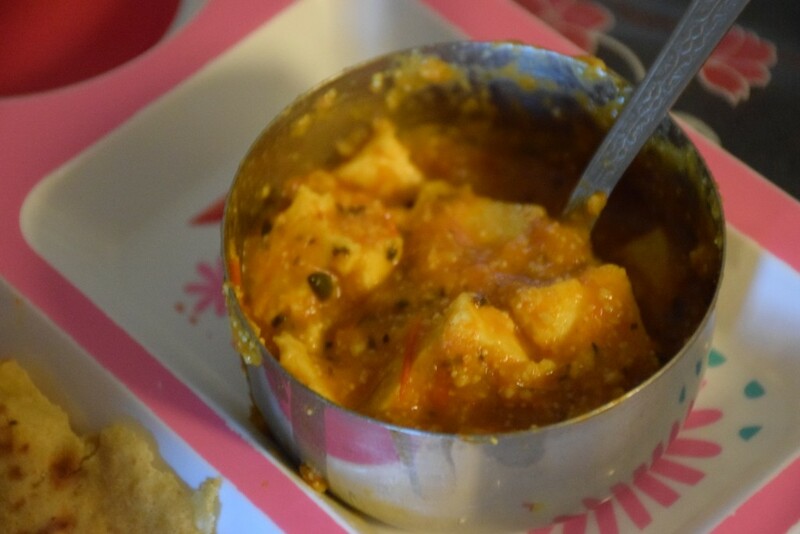 Its better to make paneer at home but if you have less time in hand ,then go with whatever is available( store-bought). 1. Heat oil in a wok. Cut onions into large chunks and similarly wash ans cut tomatoes in big pieces. 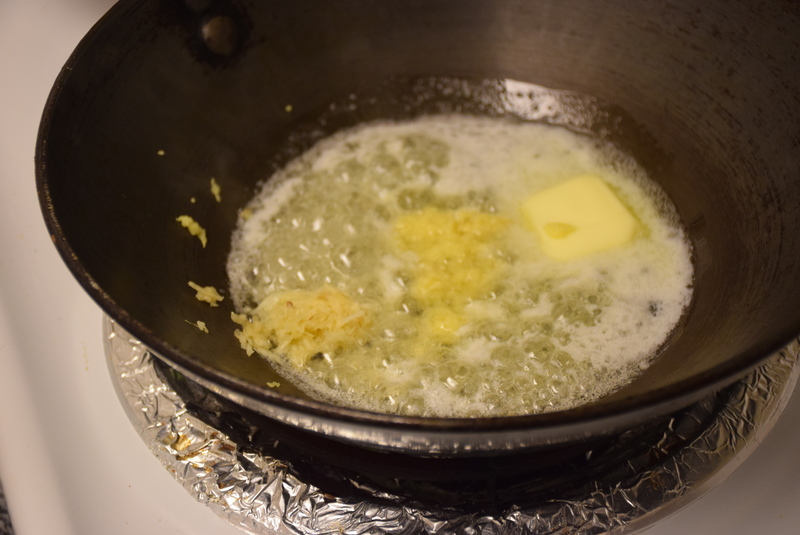 Add them together and let them boil in the wok.If possible cover the wok or pan, to enhance fast cooking and avoid the splutter all around. 2. When the onion and tomatoes are perfectly cooked and get tender, turn the heat off. Now transfer the mixture in a jar and grind it until smooth paste. 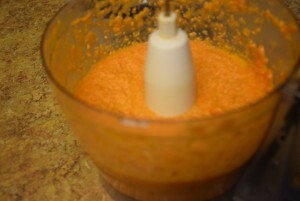 Here you may wait for 2-3 mins before grinding to cool the mixture at room temperature.I have added soaked cashews too. 3. 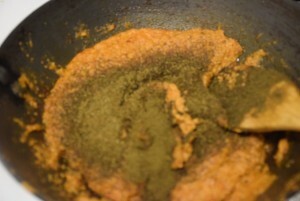 Now add butter in the wok and allow the jeera to roast. Also add the grated ginger and hing.To avoid burning of butter,add 1 tbsp oil in it. 4. 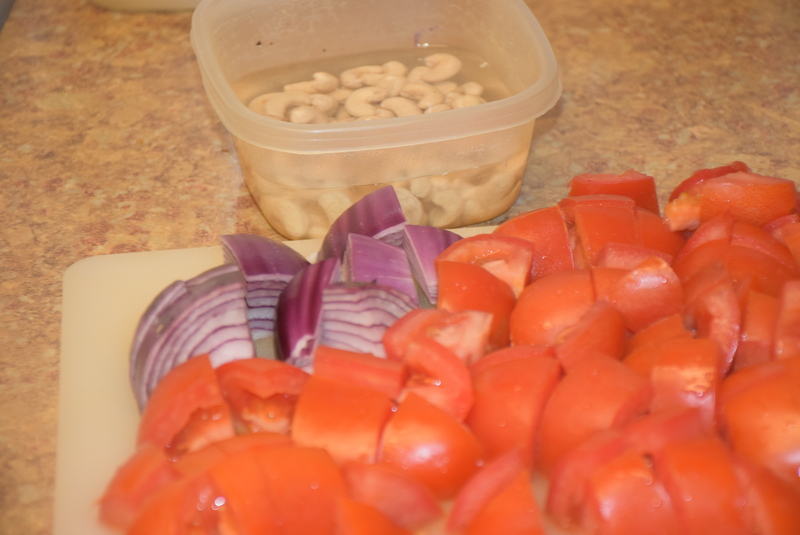 Let it cook for a minute,then add the tomato-onion paste.You may sieve the paste through a colander to separate the skin of tomato,if you don’t like them before adding in the wok. 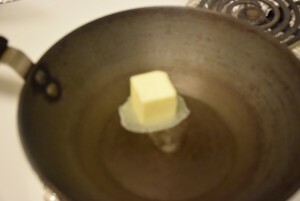 Let it cook till it leaves the oil. 5. 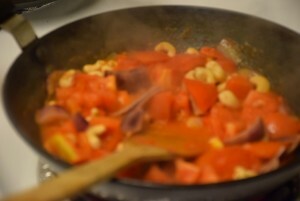 Now add the cashews paste and stir well. 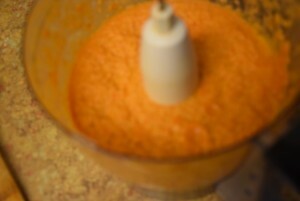 Also add the chillies and spices except salt. Soon after adding all the spices ,you will see the orangish yellow color of the curry.To bring in the reddish color add more of kashmiri mirch ,since it is not chilly and does not spoil the taste of the curry. 6. Now roast the kasoori methi on a tawa(griddle) or pan for a minute till you get the fine aroma of kasoori methi. 7. 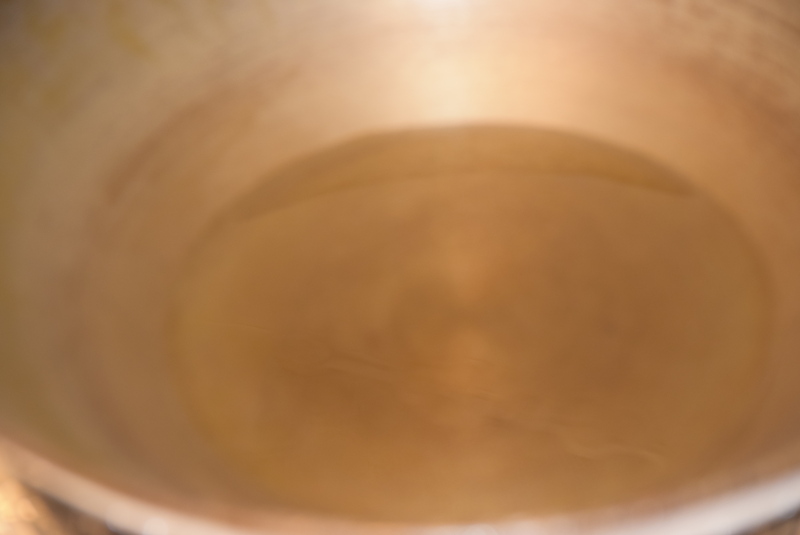 Mash the roasted powder with hands through a sieve or colander in a plate. Now add this in the gravy. Stir nicely. 8. In the last step add the salt, the cream and let it cook covered for another 2 mins. 9. Finally add the paneer cubes and cook for 2 mins covered. 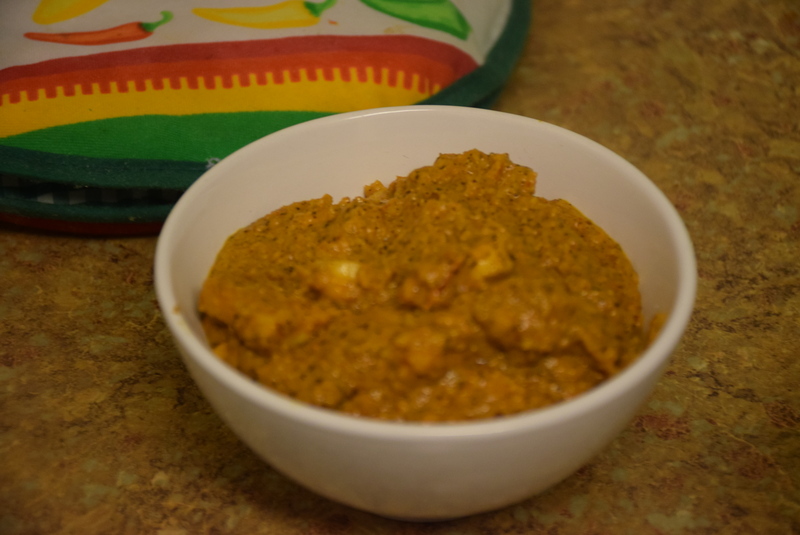 You may add water in the end to suit the consitency you like to have in the curry.I prefer thick gravy for this dish to give it a royal and rich texture,hence generally avoid water. 10. Garnish it with chopped cilantro or serve as it is. Your yummy dish is ready to go in tummy. Please share your comments and experiences below.This would help me in updating myself. 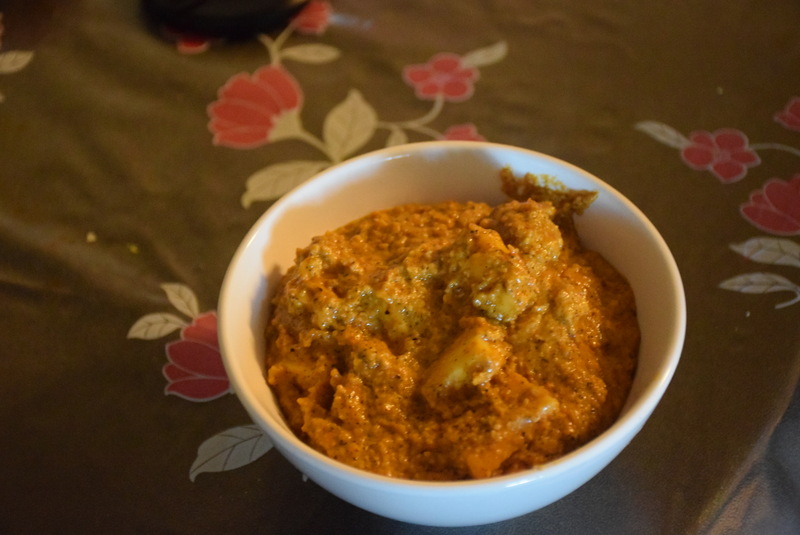 This entry was posted in Food, Main Course, Recipes and tagged butter masala, cashews, cream, curd, fat, fenugreek, fresh roma, ginger, high-carbs, kaju, kashimiri, kasoori methi, khuskhus, makhani, makkhan, mirch, not sour, orange, paneer, paste, poppy, protein, red, rich, ripe, seeds, sweet, texture, thickness, tomatoes, white.